The list of targeted sites includes "Cpanels, Plesk, online flight reservation systems, Microsoft Office 365, IBM Lotus Notes clients, Zimbra email, Bitbucket, Amazon, GoDaddy, Register, Namecheap, Dropbox, Softlayer, Rackspace, and other services," the researchers say in a blog post. The malware gets delivered to the victims' computers in the first place either via spear-phishing or infected USB devices. Once executed, a multi-stage payload infects the victim's computer only after certain conditions are met, which includes checking if the infected computer has any antivirus or security suite installed or is running in an analysis environment. Besides this, "the threat actor behind it strictly monitors and controls all operations. If there is a casual infection, which is not in Mexico or is not of interest, the malware is uninstalled remotely from the victim’s machine," the researchers say. 2. CleanUp – While performing evasion techniques, if the malware detects any 'suspicious' activity—like running on a virtual machine or debugging tools—it performs a full cleanup of the infected system, removing the persistence service as well as forensic evidence of its presence. 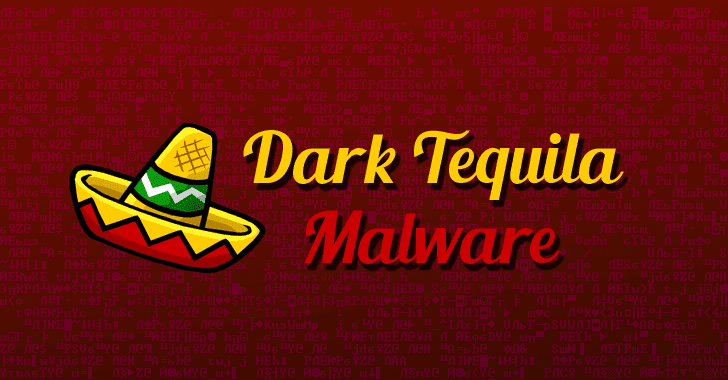 According to the researchers, the Dark Tequila campaign is still active and can be deployed in any part of the world to attack any target "according to the interests of the threat actor behind it."